Although the vast majority of speakers of the Western Punjabi language live in Pakistan, there is also a significant group living in neighboring Afghanistan. The group in Afghanistan is treated as a separate people group in the Joshua Project database. The term "Punjabi" is used to describe both those who speak Punjabi and those who inhabit the Punjab region of India and Pakistan. It is derived from the Persian words panj (five) and ab (river). Punjabi is an Indo-European language having six main dialects. It is closely related to the surrounding languages, particularly Pahari. 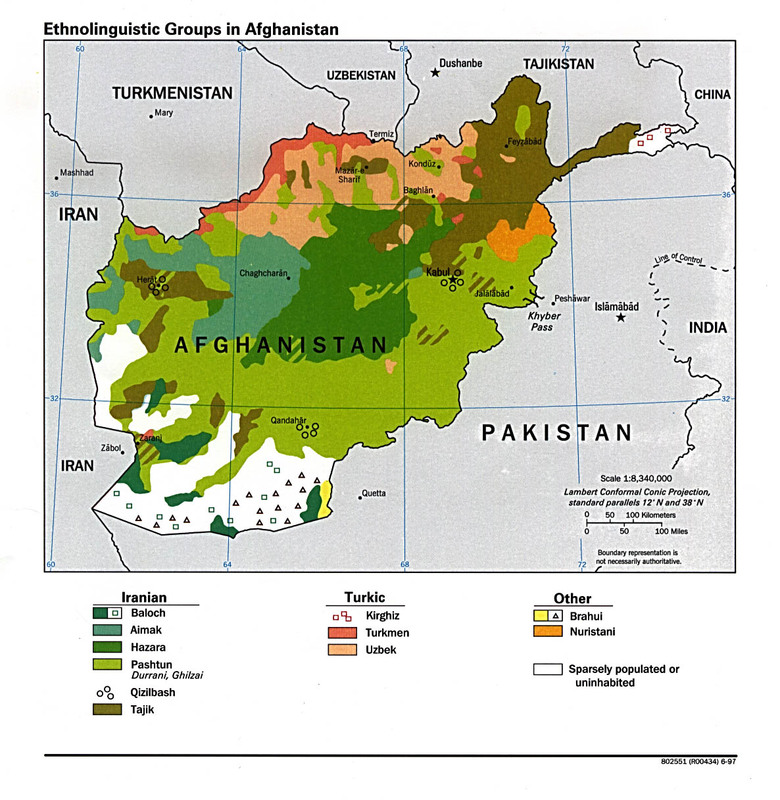 The Western Punjabi of Afghanistan speak the dialect known as Lahnda or Western Panjabi. The Punjab region is an ancient center of civilization that has been the main route of invasion and migration into India. Its chief historic cities are Lahore, Ludhiana, Jalandhar, and Patiala. There are significant communities of Punjabi in approximately 28 countries. Although their living conditions vary, the Punjabi have retained much of their traditional culture and lifestyle. Modern Punjabi culture has been profoundly shaped by the partitioning of India and Pakistan in 1947. The resulting massive migrations basically separated Muslims from Hindus and Sikhs. At the cost of thousands of lives, millions of Hindus and Sikhs migrated into India and millions of Muslims moved into Pakistan. The Punjab region has long been one of the world's most important agricultural areas. The Punjabi are primarily farmers, hired laborers, and specialized craftsmen. Their villages consist of houses that are built close together along narrow lanes. In the older villages, the outer walls of the houses are joined together as a means of protecting them from outsiders. Occupations in the larger rural villages include shopkeepers, teachers, tailors, postmen, clergy, and doctors. The household, or ghar, is the center of social life for the Punjabi, whether they are rich or poor. The ghar is made up of those who contribute to and eat from a single hearth. All members of the ghar pool their earnings and make joint decisions regarding their savings, investments, and any major transactions. Families are formed and developed within the ghar. The staple diet of the Punjabi consists of bread and vegetables. The Punjabi are also a part of the caste (social class) system. They are divided into castes called jati. Castes generally have origin stories that explain how they came into an area, and/or their present occupational position. Caste divisions vary according to region, but they generally range from the upper castes of Brahmins (priests, scholars, and landowners) to the lowest caste of laborers and servants. Various artisan castes include carpenters, masons, blacksmiths, barbers, and weavers. The jati are further divided into clans, villages, and families. Marriage is considered universal and necessary among all Punjabi. Residences are generally patrilocal, which means that young couples live in the husband's village near his parents. Marriages can still be arranged by parents, but this is rarely done without extensive discussions. The bride's parents usually pay for the wedding and a dowry (the property that a wife or a wife's family gives to her husband upon marriage) is still a part of Punjabi tradition. Among the Punjabi, there is no overall system of social control. Instead, each social institution (such as homes, businesses, religious and political organizations) has its own set of laws and disciplinary measures. Like the Punjabi living in Pakistan, the Western Punjabi of Afghanistan are primarily Muslims. Since it was the Turks who brought Sunni Islam to this region, most of the Punjabi are Muslims of the Hanafite branch. There are very few Christian resources available to the Western Punjabi. There are only a few known Western Punjabi Christians in Afghanistan. Prayer is a key to reaching them with the Good News. * Scripture Prayers for the Punjabi, Western in Afghanistan. * Ask the Lord to raise up laborers willing to go to Afghanistan and share God's love with the Western Punjabi. * Pray that churches will accept the challenge of adopting and reaching the Punjabi. * Pray that Punjabi believers will rise to the challenge of taking the Gospel to their people. * Ask God to raise up prayer teams who will begin breaking up the spiritual soil of Afghanistan through intercession. * Ask the Lord to save key leaders among the Punjabi who will boldly declare the Gospel. * Ask the Lord to raise up strong churches among Western Punjabi.